COPPER WIRE: Shape on whatever you like with this copper wire string lights, easy for both shaping and storage. 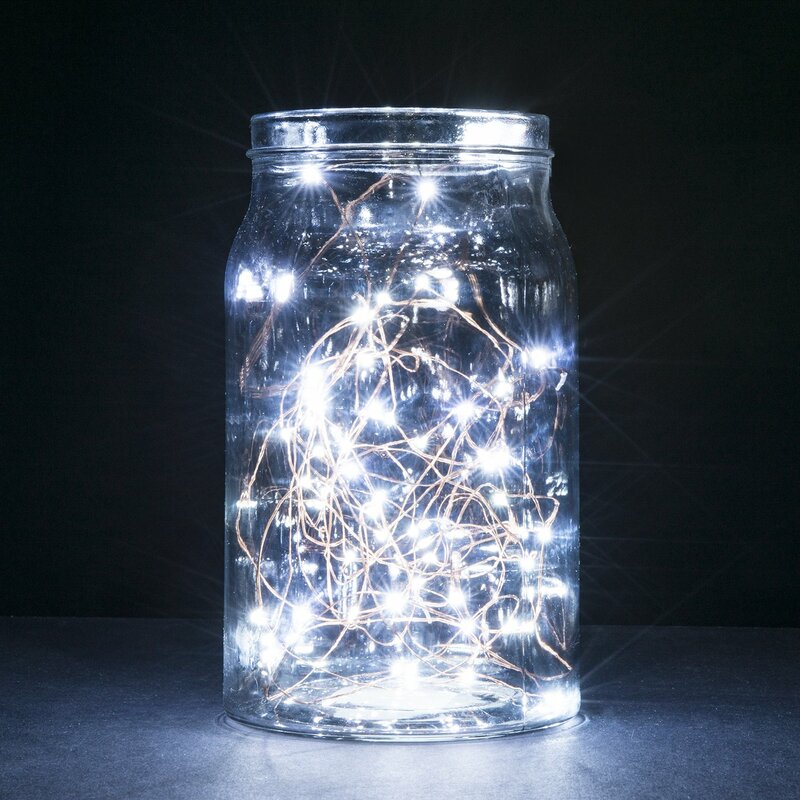 Beautiful Lighting:This LED fairy light is perfect for spice up your decoration and add welcome feelings to your outdoor weeding,party and home.You use these decor lights to DIY. ENHANCED POWER RESISTANCE: With an improved power resistance for the lighting, it's able to work a consecutive 64 hours. Color: Coldwhite Looking for something for your house decoration? Stop by and take a look at this one. - Simple design, with only an on/off button; - 9ft string with 30 leds to shape on your decorations; - Flexible and durable copper wire, easy to storage. - Battery use instead of plug hassle, only 3v working power, safe and sound. - MULTI-COLOR OPTION: Warm white, blue, cool white, green and purple available. Wedding Use For Wedding use, you can use this nice decor lights for your Wedding Receptionto make it more beautiful and romantic,create the perfect memories for yourfriends. Package Included: 2 x Led Decor lights 2 x Button Cell Batteries NOTE: The lights come with battery included. When they run out, please replace with 2CR2032 batteries.